Pre heat the oven to 180 degrees. Pop the duck legs onto an oven tray, season with salt and pepper and cook for around 90 minutes. While the duck is cooking make the slaw. Whisk together the white wine vinegar, olive oil, lime juice and sugar with some seasoning. 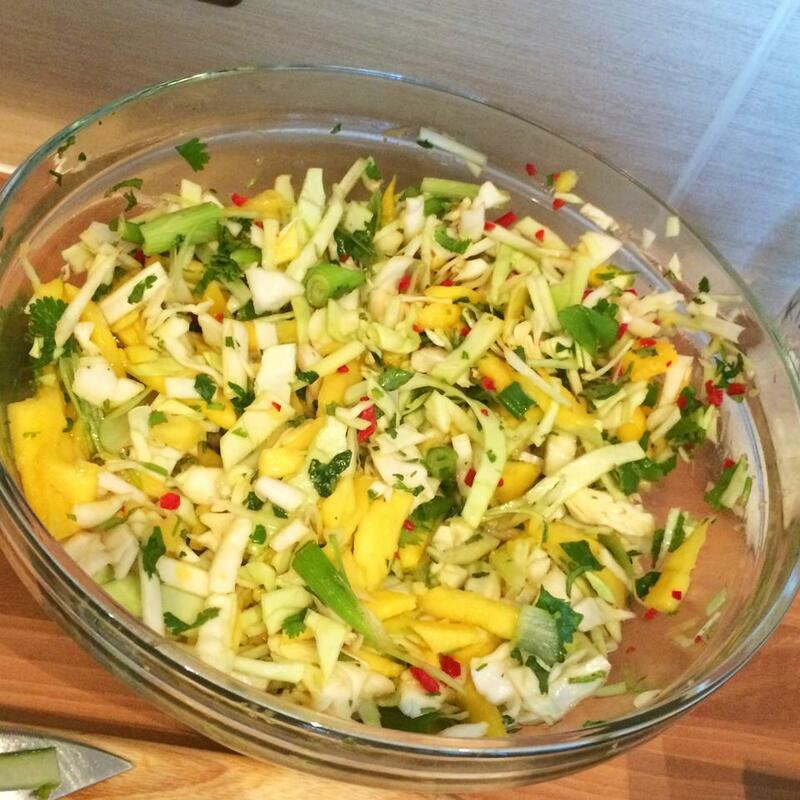 Put the mango, cabbage, chilli, spring onions and coriander in a bowl. Add the dressing and toss together. Next, in a small saucepan, mix the tomato ketchup, honey, soy sauce, ginger and the hoisin sauce together. Bubble for 2-3 mins on a medium heat until slightly thickened and well combined, then pop to one side. Around 15 minutes before the duck is cooked, pop on the rice for 15 minutes. After 90 minutes, take the duck out of the oven and set aside to cool a little. 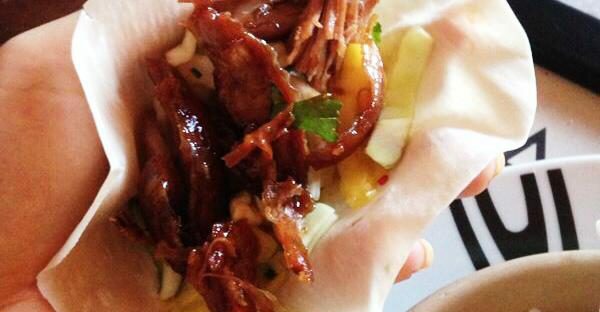 Once cooled, remove and discard the skin and then use 2 forks to shred the meat from the duck, discarding the bones and fat too. 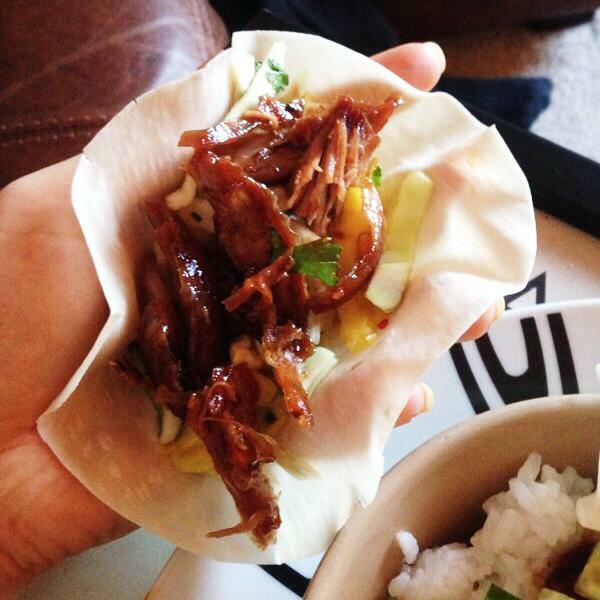 Then then mix with one-third of the hoisin sauce with the duck and pop into a bowl. Drain the rice and pop into a bowl. Serve as a sharing dish with everything in its own bowl. 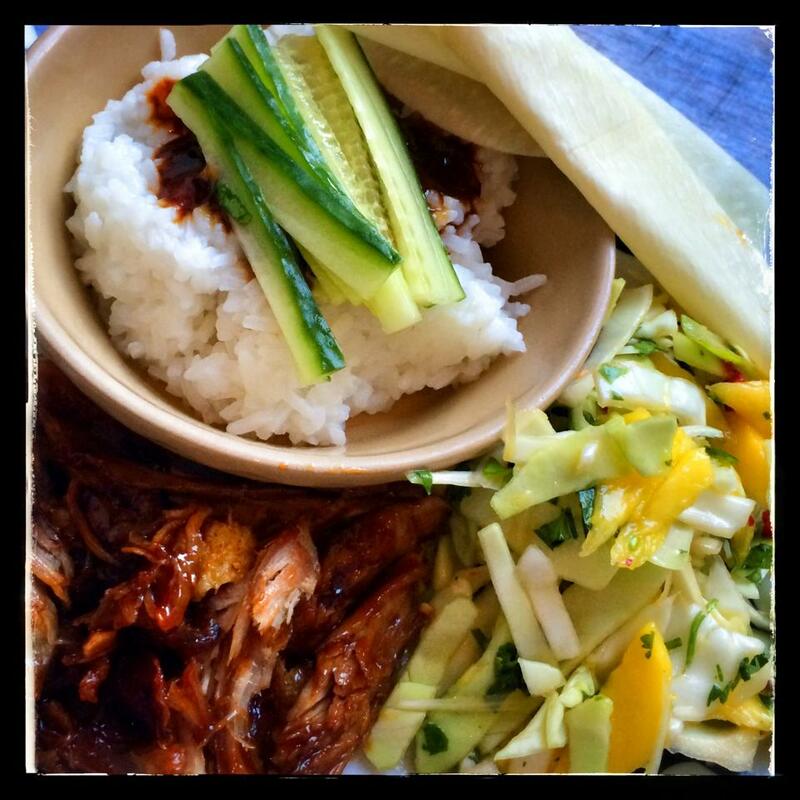 To assemble take one pancake, add in a little rice, slaw and duck, a few match sticks of cucumber and some of the remaining five spice hoisin sauce.